Small businesses take 60 seconds to Save Free Conference Calls! Please Write Your Members of Congress Now! We need you and your colleagues that use FreeConference and InstantConference to contact your Member of Congress right away to voice your opposition to this potential change that, if enacted, will increase your costs of conducting conference calls. Your Congressman needs to understand that eliminating your ability to communicate with your business and non-profit colleagues through free teleconferencing services is unfair, unacceptable and anti-competitive. Additionally, large telephone companies are alleging that customers of free teleconferencing services are using these services for pornographic and controversial activities. We need you to tell Congress that this is simply not true. Simply fill out the form to the right and click on the “Act Now!” button to let your Member of Congress know how free conference call services are a cost effective way to help you connect with your colleagues, and conduct vital business for your organization. Thank you in advance for your quick response to this important issue. I use InstantConference for free, very professional conference calls. Incredibly useful for small businesses and freelancers who don’t need a fulltime, costly solution but still want to present a professional brand. The form on this page is completely automated and they’ll mail a letter to your representative for you. Takes a minute to complete. Author Joel VincentPosted on March 24, 2010 Categories UncategorizedLeave a comment on Small businesses take 60 seconds to Save Free Conference Calls! 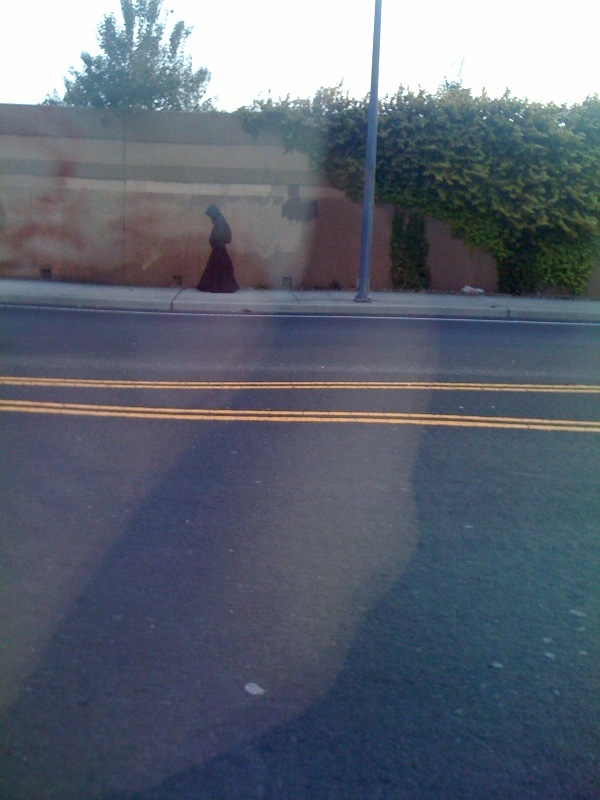 I know I’m not up on teenager fashion but WTF is up with this kid walkin’ to school? Well, sorry to all the Tweeple and Facebook followers. YouTube Auto-Share is a pretty cool feature to share ratings and uploads automatically. What I didn't realize is that by default it was sharing my subscriptions. Combine that with the import of Facebook Friends and you've got a recipe for MAJOR Twitter spam. Its too late for me and I apologize profusely. Best thing I can do is explain what happen and advise others to change the default. 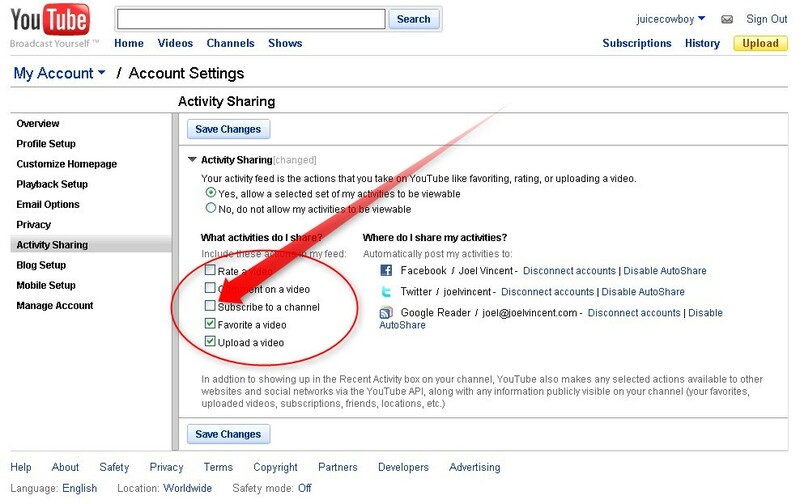 This picture shows where to change the Auto-Share feature setting so that you don't accidently create Tweet SPAM through YouTube Auto-Share. Sorry if you had to endure my bone-headed move! Don’t buy Philips Marathon Compact Fluorescent bulbs! Watch this video. These bulbs are dangerous! Author Joel VincentPosted on March 10, 2010 Categories UncategorizedLeave a comment on Don’t buy Philips Marathon Compact Fluorescent bulbs! This bohemian cafe never ceases to amaze me. You are looking at a picture of ppl in this cafe. 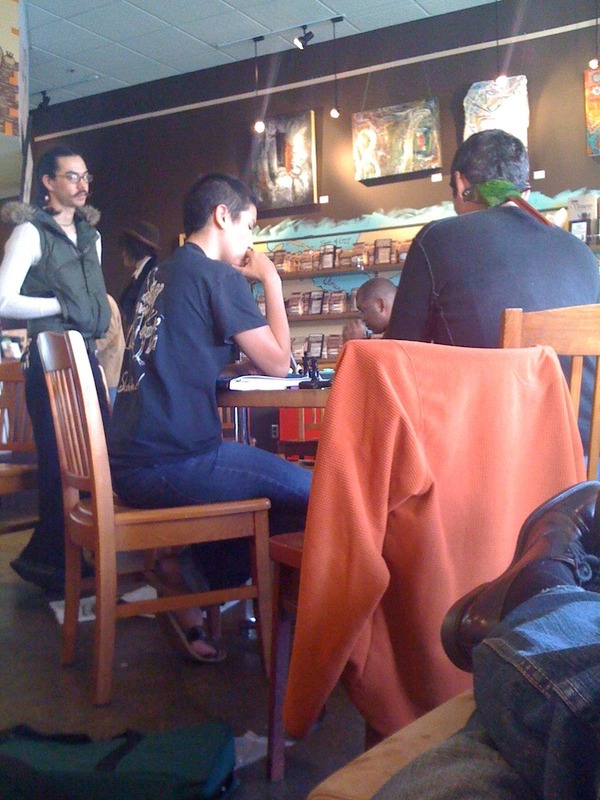 The dude closest to me is playing chess with an F’in parrot on his shoulder (I’m waiting for the poop!) and the other dude on the left has handle bar mustache and pig tails! 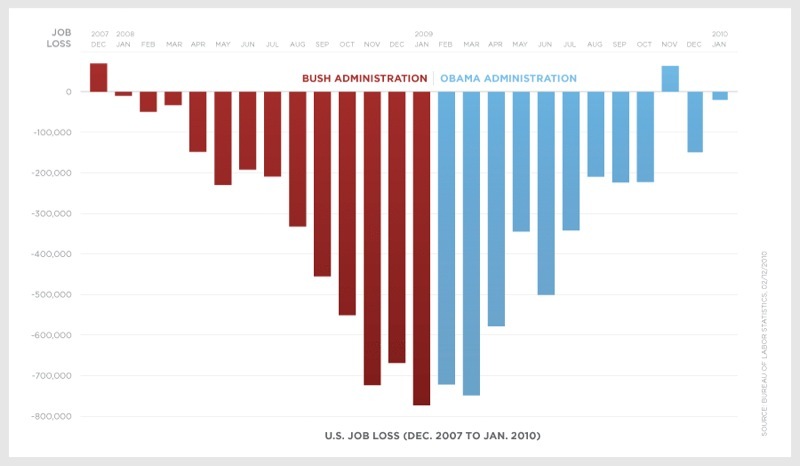 Author Joel VincentPosted on March 3, 2010 Categories UncategorizedLeave a comment on What the…?? ?